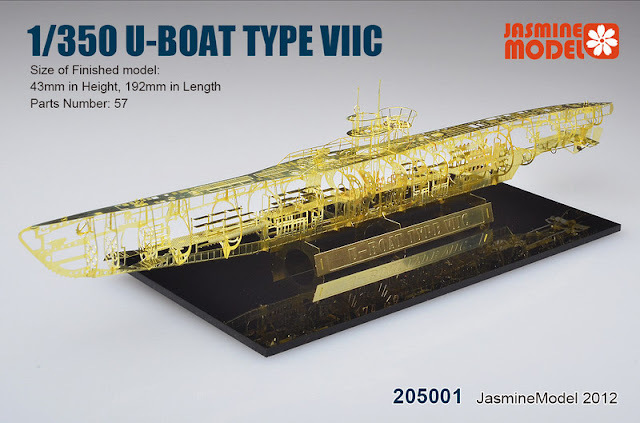 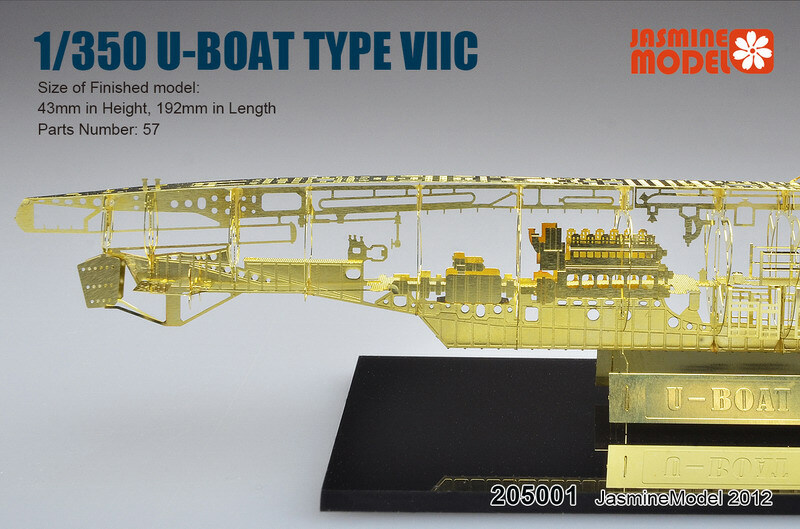 The Modelling News: Jasmine Model's new sets to upgrade your Strike Fighter – and also a complete Photo etched U-boat? 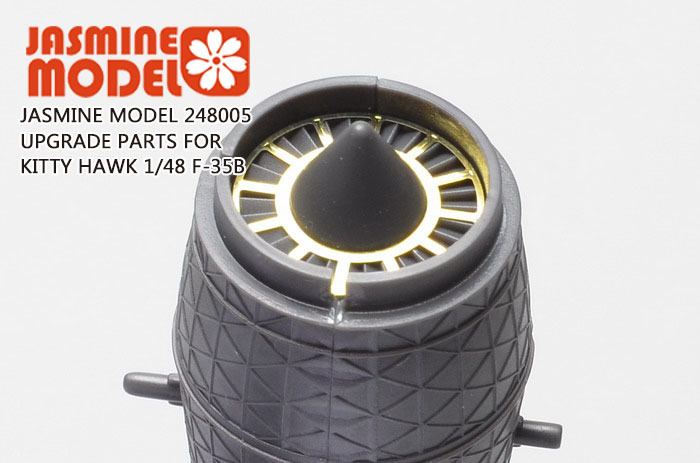 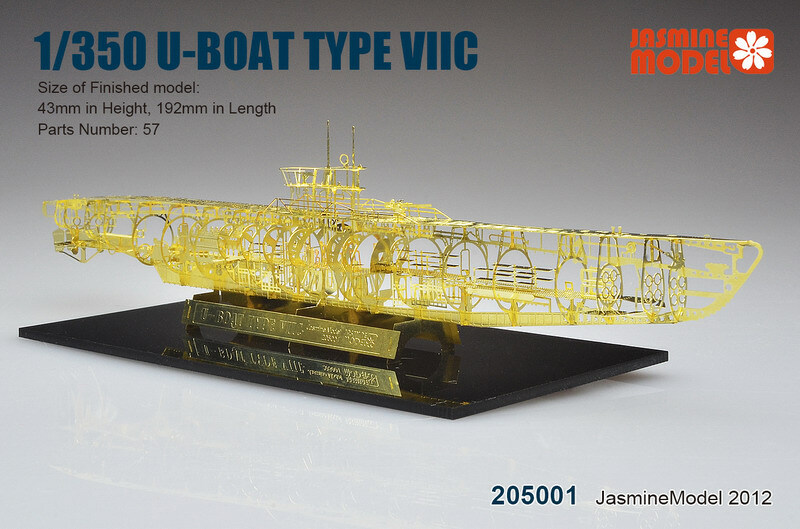 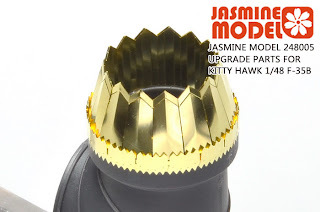 Jasmine Model's new sets to upgrade your Strike Fighter – and also a complete Photo etched U-boat? 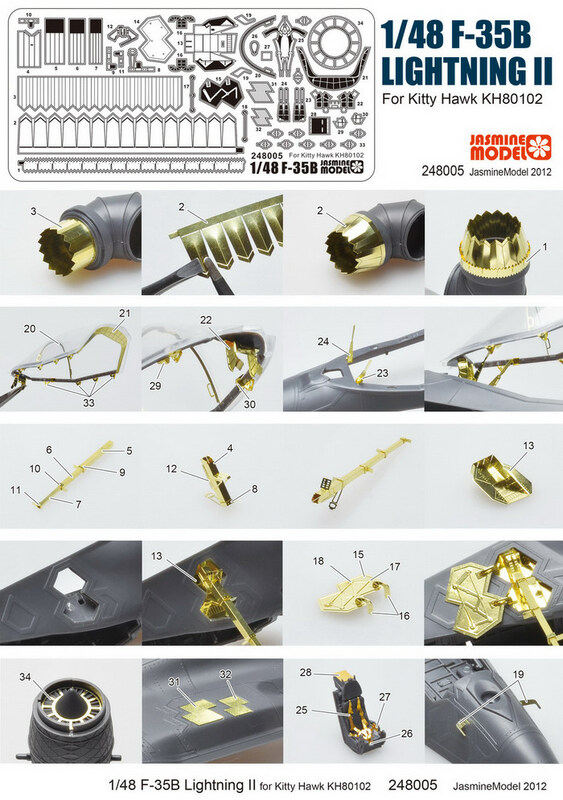 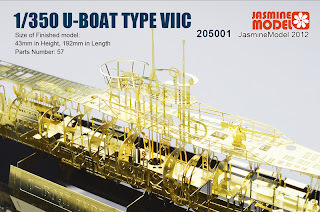 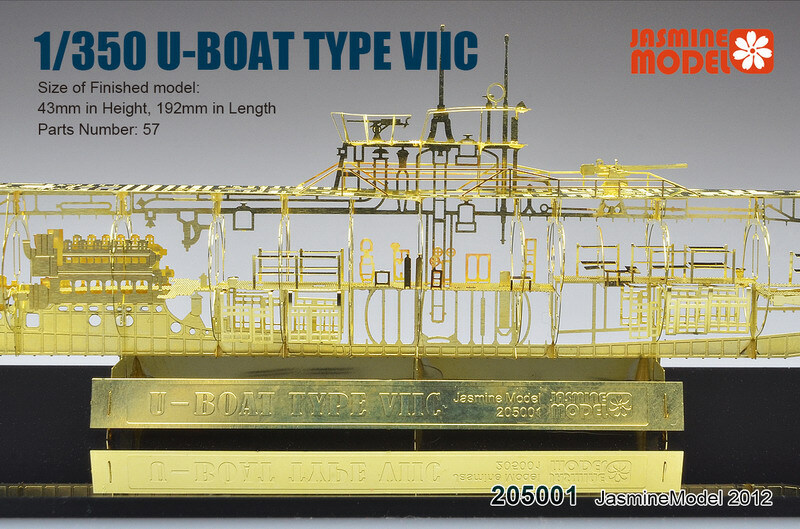 Jasmine Model form the far east have two interesting projects on the go – firstly a detailed set of updates for your new Kitty Hawk 1/48th JSF and the other is a very different looking kit of the U-boat in 1/350th – talk about a barbed wire canoe! 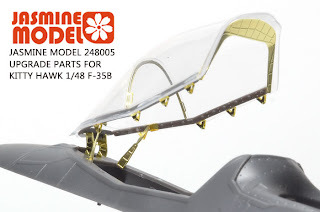 An aircraft access ladder which shows the detail of the foot pegs and internal structure in a much superior result than you could hope for in plastic. 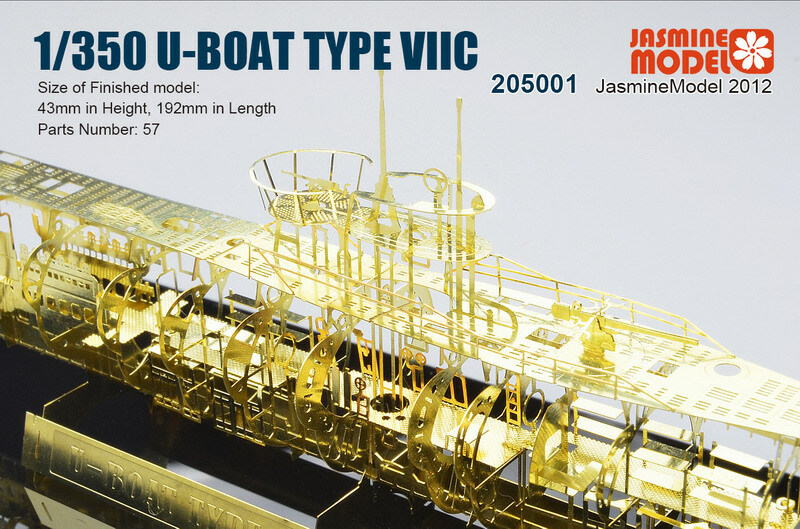 This rather novel kit of a U-boat of the Kriegsmarine of WWII comes in at 43cm high and just under two metres (192cm) long. It is completely made from Photo Etched – bendable thin metal parts. 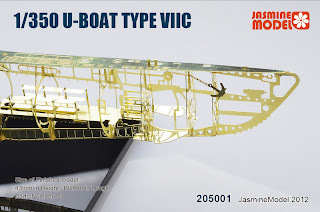 From the pictures of the completed model here you can see the detail that has gone into this kit – as well as the results you could achieve yourself if carefully constructed. 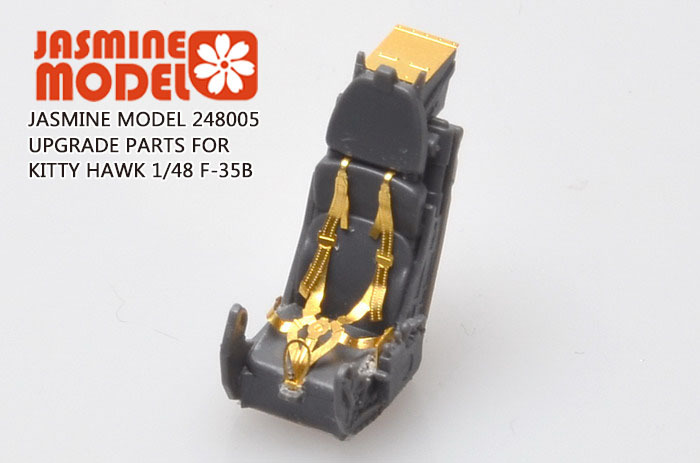 The skeleton like construction shows the main external superstructure made to sit together in this endoskeleton like form. It comes with a stand but not the base you can see here. 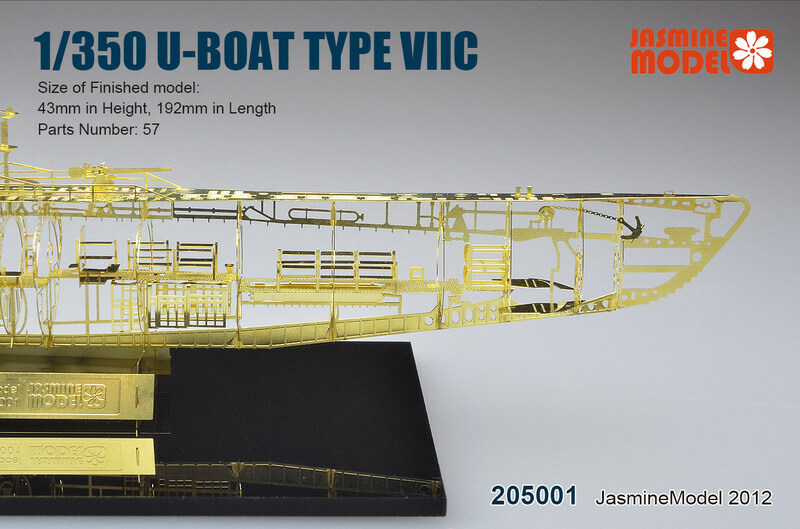 The nameplate is included so indeed you have everything you need to make this sit up and be displayed all by itself. 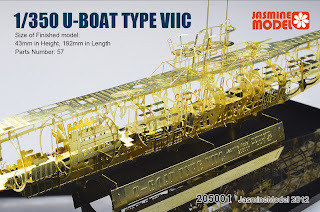 Impressive to me are the fine details of the superstructure and deck area – the way it all hold itself together with such fine detail is truly impressive. 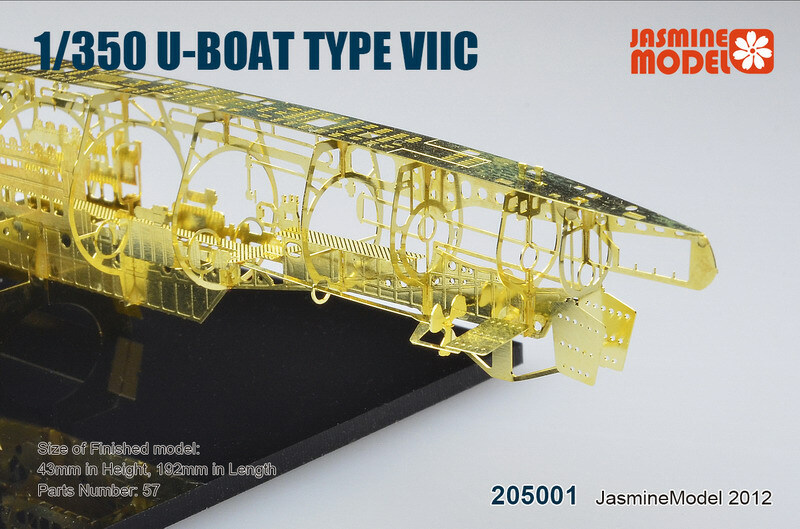 As well as these new kits Jasmine Model also makes Photo-etched Skeleton Series in 1/48 and 1/72nd Variable Fighters detailing parts as well as 1/48, 1/144 and 1/72 decal sheets.